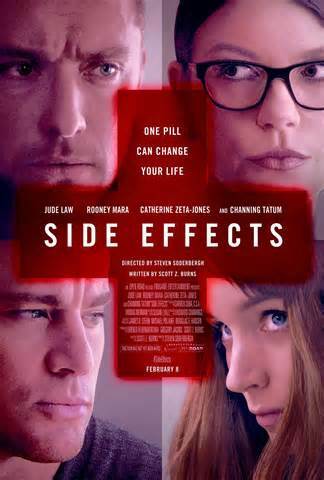 Here we supposedly have “Steven Soderberghs” final film (not sure how much truth there is to that), It’s called “Side Effects, starring Jude Law ( Enemy at the gates, Closer and Sleuth), Rooney Mara (Nightmare on elm st, Girl with the dragon tattoo) and Channing Tatum with Catherine Zeta Jones. It had taken me a while to get around to watching this one, I have to admit I set the bar pretty high with my expectations. With a good solid cast, Soderbergh has the ability to set a great mood and perfect pacing. Once again he manages this with a great opening act, we are introduced to Emily Taylor (played with real realistic vacancy by Mara) as she visits her husband Martin (Tatum) who is on the verge of being released from Prison, for what we don’t know. What we do know is that Emily is suffering from a deep depression, the causes of which are unknown. At the same time we have well respected Psychiatrist Jonathon Banks played by (Jude Law) in yet another consistently solid performance. After showing suicidal tendencies and a near fatal miss, Emily is more or less hospitalized but only for a short period of time, until she agrees to have therapy sessions with Dr Banks. 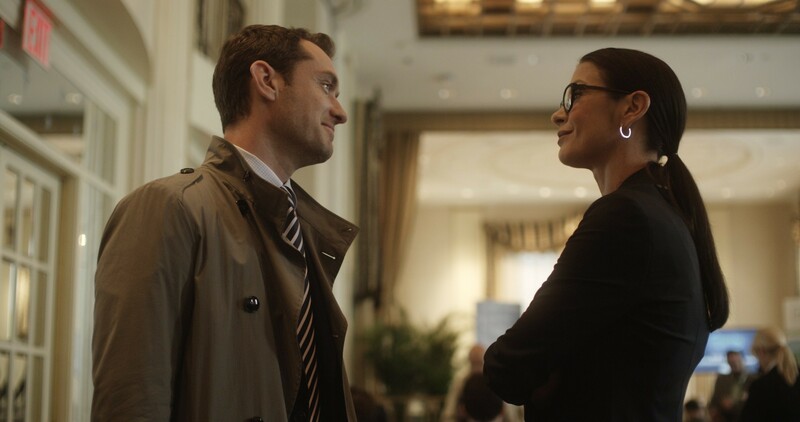 We also get some input in a small but important role from Catherine Zeta Jones playing Dr Victoria Siebert, Emily’s former doctor, I am still not sure why a reason was never given for the separation of Victoria and Emily, although now having seen the film, I can probably see why. The best thing Soderbergh does is makes us feel uneasy and vacant with his distorted camera work and losing focus and shooting back into focus. It really does help you get in the shoes of someone suffering depression an navigating their way through various prescription drugs. I thought the score was quite bland but at the same time was enough of a backing for the story, I did not feel the tension from Law, his character was written in such a way that you knew he would make the typical errors e.g trusting the wrong people, trying to prove his innocence through it all, all the while making himself look guilty in some way shape or form. I thought the acting from all involved to be very consistent. I think the film’s running time is perhaps 15 or 20 minutes to long. The main issue for me is (without spoilers!) by the time we get to the third act and the post trial events are revealed, I had began to pick what was going to occur, several leads with certain characters are abandoned without warning. I think there are just to many characters written in this film with not enough depth or even likeable characteristics to root for them, the motives of each seem very bland and cliche, does everything have to be about money??. Maybe that is the only reason they need, but it loses entertainment value. Was Emily ever pregnant?? do we know? are we suppose to know? was it relevant to the story. I think it could have been if they were clear on the circumstances with any of that supposed event, it would give her a human quality to connect with. For us as viewers to roll on through the journey with her, we need to be able to relate to her, and the reasons she has for the actions she takes they are just too one dimensional. I will also make mention that Tatum as her husband was above average with what he had to work with, although I really don’t see how we were suppose to get on board with the idea of his character being to blame for so many things that had gone wrong in the lives of these characters. If we were suppose to believe that, he needed to be a much more pivotal reference point throughout the film. Overall I have definitely seen much worse films, it is by no means a poor film, but from reviews I read about its psychological trip with fun twists and turns and a unique script… hmm I’m not to sure I agree with that. 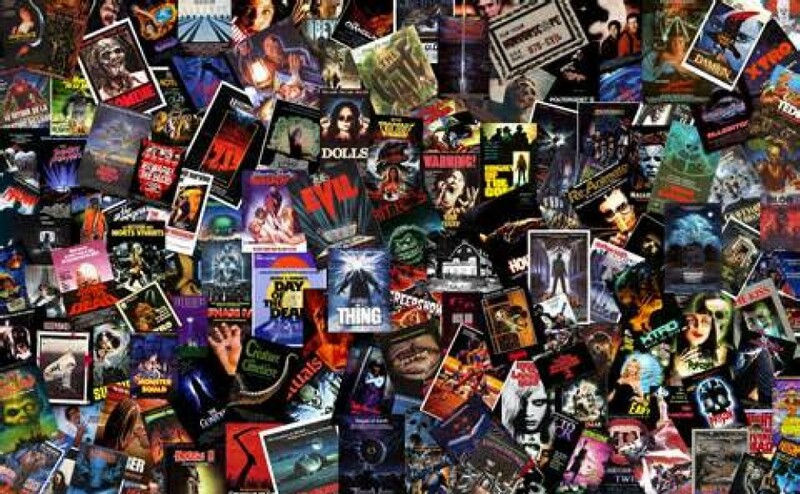 I think you would be better off watching a film like “Primal Fear” or “Awake” they are both a much better more interesting look at the use of drugs and psychological personas.